Erase the look of fine lines and enlarged pores with this lightweight, Miss Claire Prestige Pressed Powder. Eradicate shine, and preserve your carefully-applied makeup with this compact, that offers natural coverage, and a smooth, satiny finish. Explore the entire range of Compact available on Nykaa. 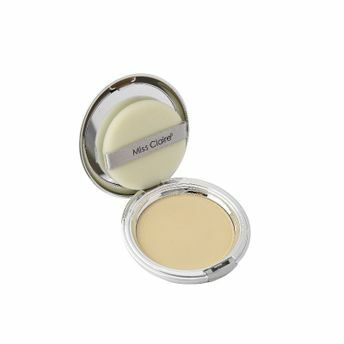 Shop more Miss Claire products here.You can browse through the complete world of Miss Claire Compact .Alternatively, you can also find many more products from the Miss Claire Prestige Pressed Powder range.